The most versatile mid-layer I own. 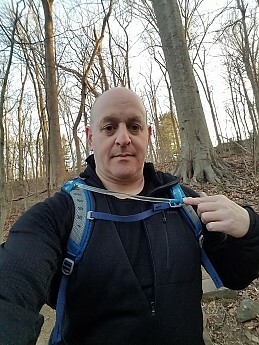 I wear this as one of my layers in the coldest temperatures all the way through stuffing in my day pack and putting it on for stops on cool spring or fall hikes. Patagonia thought hard about what hikers and climbers need when they designed this mid-layer. Only downside is that the technical nature of it makes it less appealing for wearing it in town. The Patagonia R1 Hoody might be my favorite piece of trail clothing. It's a mid-layer in the winter, a primary layer in the shoulder seasons, and a top I'll put on during stops on cool/breezy fall, spring, and even cool summer hikes. Note how well the hood fits here. On mine, the half-zip is offset, so when you zip all the way up, the zipper is set off to the side. On the current version, that zipper runs straight up the middle. The R1 Hoody is a half-zip grid fleece. It has one pocket—a fairly small one at the chest—and a good that fits over a light beanie but is equally fine next to your head and underneath a warmer hat or hood in cold weather. The torso and sleeves are on the long side. I like that—this light fleece never comes untucked. 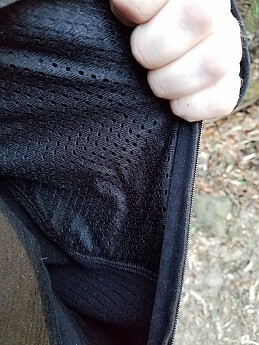 It's worth noting that the bottom part of my hoody and the ends of the sleeves are made from a thinner fleece fabric, which makes it easier to layer. The current version doesn't have that; on the one you would buy today, it's all made from the grid fleece. The heart and soul of this fleece is the grid fabric. It imparts a surprising amount of warmth layered under a shell, yet on a breezy spring day, air moves through easily, and it doesn't feel too warm. 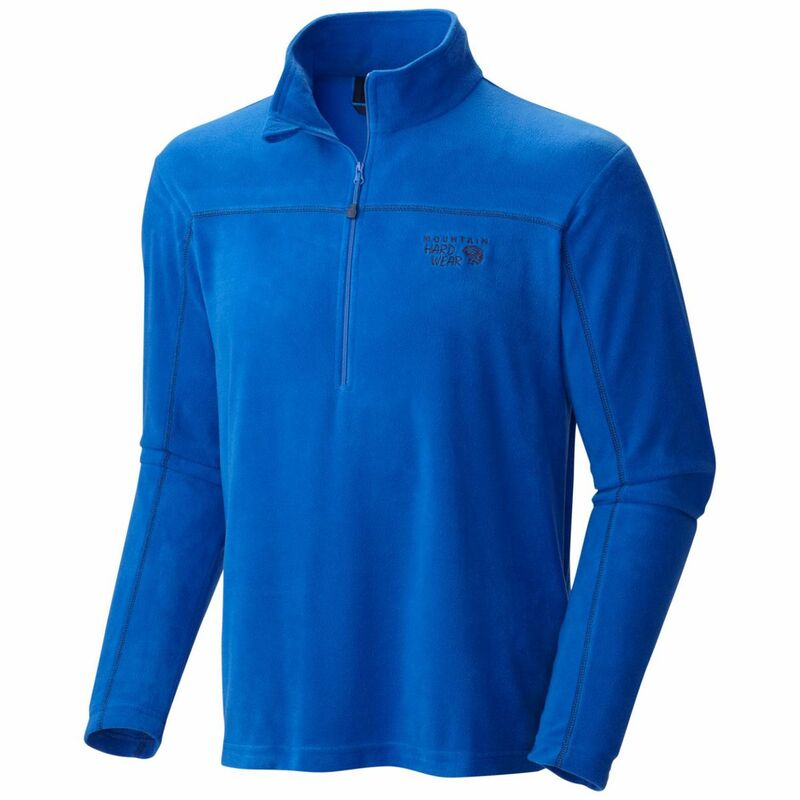 The fabric wicks moisture extremely well—on shoulder season days, wearing this over a wool or synthetic t shirt and hiking hard, it's common to end up with a healthy layer of water vapor or frost on the outside. The fabric is also tremendously durable. Short of melting it with sparks from a fire, cutting it accidentally with a knife, repeatedly scraping it on stone, or taking it through your worst nightmare of a bushwhack, this isn't going to get damaged. This is the grid nylon backing the small chest pocket. Everything about this top furthers the goal of wicking moisture away from you. The photo above shows the length of this shirt—you can see that if I were to tuck it in, there is plenty of fabric. On mine, the bottom portion is not the grid fleece, but a lighter, stretchy fleece. That same lighter fleece is also at the end of the sleeves, where the thumb holes are. You can see that below. On a layer like this with long-ish sleeves, it's really great to have those thumb holes at the end. This is a layer with virtually zero wind-stopping ability—it's made to wick moisture and conserve heat worn under other layers or a shell jacket. On its own or over a T-shirt, I'll wear this down to mid-30s or below, especially if I'm moving and wearing this under a fleece vest or light nylon shell. Once you start getting below freezing, this becomes more of a mid-layer; you might want a heavier fleece over it and under a shell. In deep freeze weather, it's OK as a base layer (I prefer wearing some kind of T shirt underneath due to the zipper when it's really cold). 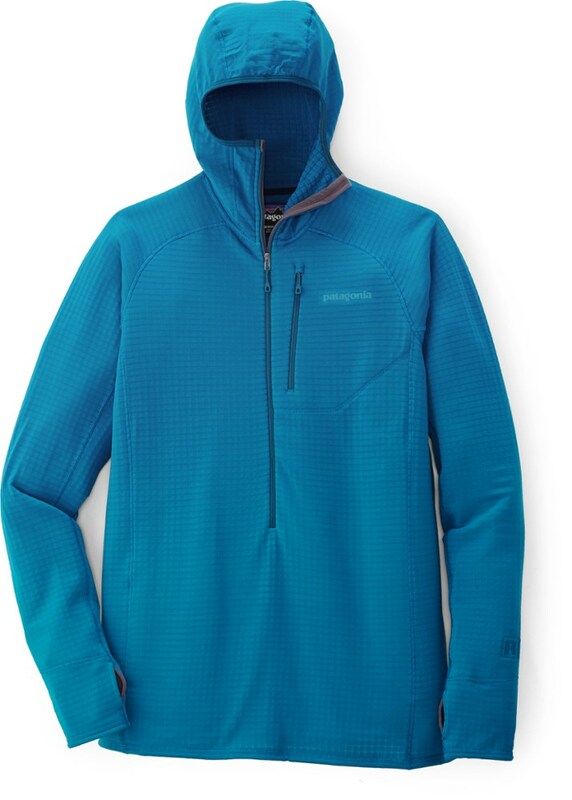 If you live and hike in colder climates and want more warmth while still having outstanding breathability and wicking, consider Patagonia's R3 Jacket or R3 Hoody—full zip models with a thicker/fuzzier fleece and more pockets. 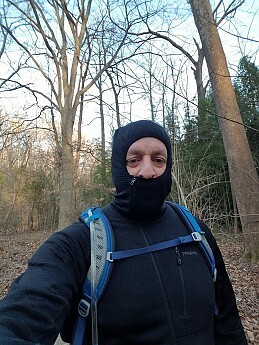 I have the R3 fleece without a hood, love that too for colder conditions; the R3 Hoody felt a tad too warm for the Mid-Atlantic, where I figured opportunities to use it would be limited. Flat out superb. Unless it's really too warm for this layer, moisture moves easily through this and to the outside. Once it gets damp and you aren't moving as fast, or if you hang it on a utility line to dry out at the end of a long day next to your tent, it dries about as quickly as any synthetic mid-layer I own. The armpits on my older version are the same lighter fleece as the cuffs and the hem, which enhances wicking. Very stretchy fabric. Moves with you. Nothing constraining about this layer. I take this everywhere. Winter hikes in the Northeast, day hikes in the Mid-Atlantic year-round, cool spring hikes in California, late fall climbs in the Albanian Alps, early morning slogs up Victoria Peak in Hong Kong, higher-elevation stops and cloudbursts in the Tetons, year-round cycling, spring paddles on the Potomac river, summer nighttime campfires on Martha's Vineyard and Maine. It's about four years old at this point, so we're talking about well over a hundred days outside in this. If you don't want or need a hood, get the R1 Pullover—same configuration, zips up straight up the middle, no hood. Get one. Even though the current version doesn't appear to have the two type of fleece, which I think is an advantage on the older version. Find it on sale if you can't stomach the price—a year-old model or funky color, perhaps. Now, because of the design of mine—the two types of fabrics, the long torso and sleeves, the hood with the offset zipper—it's not my choice if I'm trying to look like a civilian going out to dinner or running errands in an urban setting. Arguably, the current version has gotten less technical and more wearable in casual situations. Great review Andrew!...the R1 is a great piece of kit if you can get past the price...for the more budget oriented the MEC T3 is a near copy. Excellent review, Andrew! Thanks for helpfully detailing the differences between the various Patagonia R1 and R3 fleeces you've used. The R1 Hoody works better as a base-layer than a mid-layer. The R1 Hoody works better as a base-layer than a mid-layer. It has a good combination of warmth and ventilation. Polygiene odor control really works. Touted as a mid-layer, I found the Patagonia R1 Hoody to work much better for me as a first layer or strictly worn by itself. The Polartec Power grid fabric that provides both the hoody's warmth and ventilation also makes it difficult to put on over a first layer. The waffle patterned fabric would get hung up on my t-shirt regardless of the t-shirts fabric or fit. This is not to say it can't be worn as a mid-layer, I just found it took a lot of fiddling around trying to get the hoody comfortable. Worn by itself, a medium fit perfectly, slim without being tight. 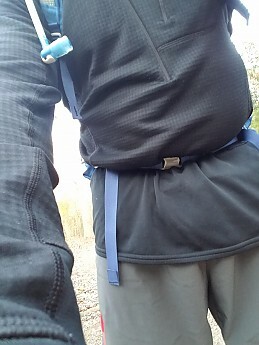 I appreciated the longer torso length that kept the hem tucked in whether I was riding my mountain bike or stooping to tie my shoes on the trail. Worn during hikes on those days when the weather changes every five minutes it fit right into the hoody's wheel-house. When the sun was out and I got a bit warm, unzipping the front zipper opened up the front of the hoody down to my bellybutton. While the Power Grid fabric by its design provided really good ventilation, I found that when the clouds would roll in and the wind picked up, pulling up the balaclava type hood and inserting my thumbs into the sleeves' thumb holes provides quite a bit of warmth. Used as a base layer under a rain jacket or wind breaker the R1 really worked well. 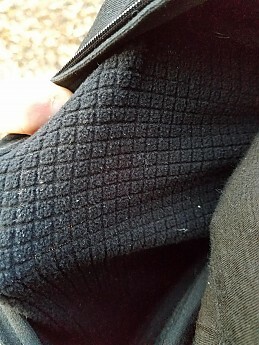 It kept me nice and warm without sweating, the waffle pattern allowing moisture to pass through the fabric. During a recent trip abroad the Polygiene odor control treatment allowed me to wear the hoody for several days with having to wash it, which made life a bit easier. As always, Patagonia has done their part to help our planet by using 93% recycled Polyester along with 7% spandex for the fabric used in the R1 Hoody. I look forward to using the hoody during the winter as a base layer while skiing. I think the hood will work really well under a helmet. Great looking and delivers the goods when active, but has limited applications. Like most everyone here I try to do as much research as I can before spending a few bucks on a technical piece of gear. I did that with the Pat. R1 and kept reading about how it's a "favorite" and serves a lot of functions. Unfortunately, my experience has been different. It still comes along with me on most trips, but I think I could have spent my money better. The R1 is very well made. The fit is right on the money (athletic but not binding) and it flat out looks good. I'm also a big fan of the thumbholes and the hood. Zipper works well too and its 3/4 length is awesome for dumping heat and ventilating. Wish more companies did this. The hem is also long so you don't have to worry about it creeping up and it's very comfortable under a hip belt. But while it performs decently in a variety of ways it doesn't really excel in any of them. For me its best use is as an outerlayer while hiking in mild conditions without much wind. The waffle design feels good against the skin but provides practically no wind protection and makes putting it on or taking it off a battle. The material tends to stick against whatever else you're wearing. Wear it over a baselayer and when you take it off the baselayer is coming with it. And when I put it on I sometimes have to struggle to get the sleeves in the right position on my arms. The thumbholes come in very handy there. It performs well as a midlayer under a puffy or shell when moving but around camp the warmth it provides only goes so far. Granted, this isn't made for providing a lot of warmth and I know that marrying breathability with weather protection is tricky at best. Based on the glowing reviews I read I expected the R1 to kill it in a few different areas. But other than performing when active in the right conditions, I think it's middle of the road when compared to what else is out there...particularly at the price point. I'm 6' 185 lbs and the Large is a perfect fit. Thanks for the review, TJ. Out of curiosity, if you had it to do over, is there another product you'd try first? Also, it would be great to see some pictures of your R1. Not sure Alicia. I've heard good things about the Arc'teryx Fortrez Hoody but it comes with an even heftier price tag. The R1 works well for how I use it and I'm glad I have it. I just like trying to grab one piece that delivers in a lot of areas. Hard to find. i have had R1 pullovers for a long time - one of them closing in on 15 years old, the other about 7 years old. my son wears the old one now. i picked up an R1 hoody, haven't yet reviewed it. ah, misfire. the fortrez is a different kind of jacket, has a fair bit more wind resistance. if that's part of your goal and you're willing to consider a layer with a little more insulating value, think about the arcteryx atom or the patagonia nano air. both are a fair bit warmer than the R1, and much warmer worn under a shell. either way with those jackets, be prepared to pay the hefty price tag. The R1 Hoody works out very well as a mid layer in cool weather. This item is a staple in my pack when heading out on backpacking trips where I'll experience cool weather. I used to carry a traditional "fleece hoody" on my backpacking trips. I have found it's very helpful to have not just the extra layer, but that the hood provides significant extra comfort. However not only are they surprisingly heavy, but they are very bulky. In an attempt to solve these two issues, I did some research online and discovered the Patagonia R1 Hoody, and ordered it sight unseen. When I received the hoody, I wondered whether it would really meet my needs. 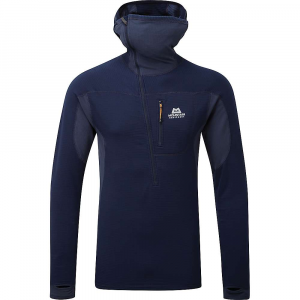 The material feels very light, and is quite thin compared to the traditional fleece hoody. However once I took it on a trip, and used it as a mid layer, my concerns were alleviated. Mind you, this really is best as a layer. As it's very thin, it's not suitable for use on its own, unless you're exercising heavily (it does breath well), and definitely not on its own in windy weather (wind goes right through it). However as a layer, it seems to do a great job trapping the air, and provides a noticeable warmth, especially with the hood up. I also discovered an unanticipated use for this hoody. Last summer the effects of the extra heavy snow the preceding winter were manifested in the form of exceptionally heavy mosquitoes. I applied a good coating of spray-on Permethrin before my trips. I found that the light fabric was not overly hot even in warm weather. Yet with the Permethrin applied, it provided an effective barrier for the mosquitoes. I would recommend the Patagonia R1 Hoody to anyone looking for a very light hoody for calm weather, for use (with Permethrin) as an insect deterrent, and of course as a great mid-layer in cool weather. The second best in its category. If you're looking for a garment in this category you have a choice of the R1 Hoody, the North Face Proprius Full Zip and the Outdoor Research Transition Full Zip. The Patagonia is the "heaviest" with the largest waffle pattern inside. That means it's the warmest. It's more base layer than mid layer. The sleeves are the tightest, and I honestly cannot see how you could get anything but a "compression" style shirt underneath. Personally, I use a sleeveless wicking training shirt under the torso of this hoody, and if I need more warmth, I use a shell over it. The North Face Proprius is the middleweight of the three, and has enough room in the arms to accommodate a "fitted" undergarment. The torso is also a little more roomy, which accommodates a "fitted" underlayer. It's unquestionably a mid layer piece. The full zip makes this garment much easier than the Patagonia pullover to get into and out of. I like that convenience, and the ability to use an under layer. The Outdoor Research Transition is the lightest of the three. 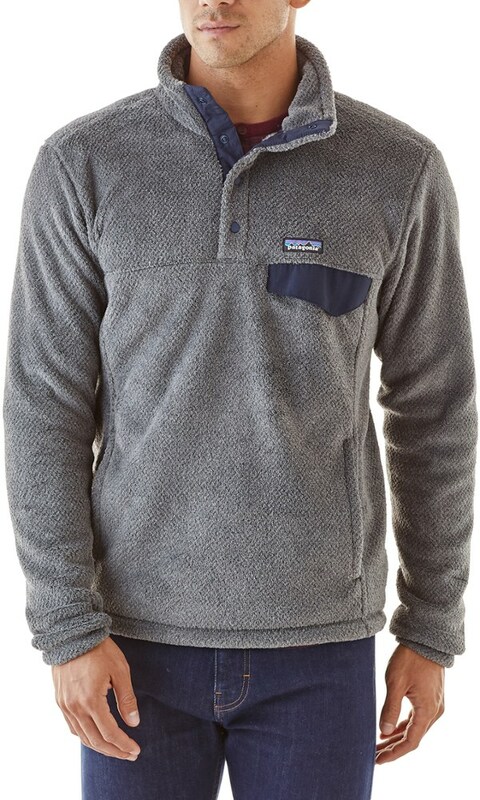 Like the North Face, it has looser sleeves than the Patagonia, but the torso is a little tighter than the North Face. You can wear the OR Transition as a base layer, I can't see you doing that with the North Face. The full zip is convenient here, too. I'd say if you are facing warm temperatures, you might want to go with the OR Transition. I've worn it in 80 degree weather and direct sunlight without too much discomfort. So, my final score is #1 = The North Face Proprius Fleece Hoody; #2 = The Patagonia R1 Hoody, and #3 The Outdoor Research Transition Hoody. But the difference between the three is negligible, each has their plusses and minuses; which is why I own one of each LOL. Welcome to Trailspace, George. Thanks for the info on your fleece hoodies. You may want to add reviews of the TNF and OR jackets under their product pages as well. The old version zipped along the side of the face so as the zipper wasn't on your nose, my opinion old version is better. 160 lbs. 5'10" medium. The R1 pictured is a small. It is on the tight side, but I love this version and it was a great price. 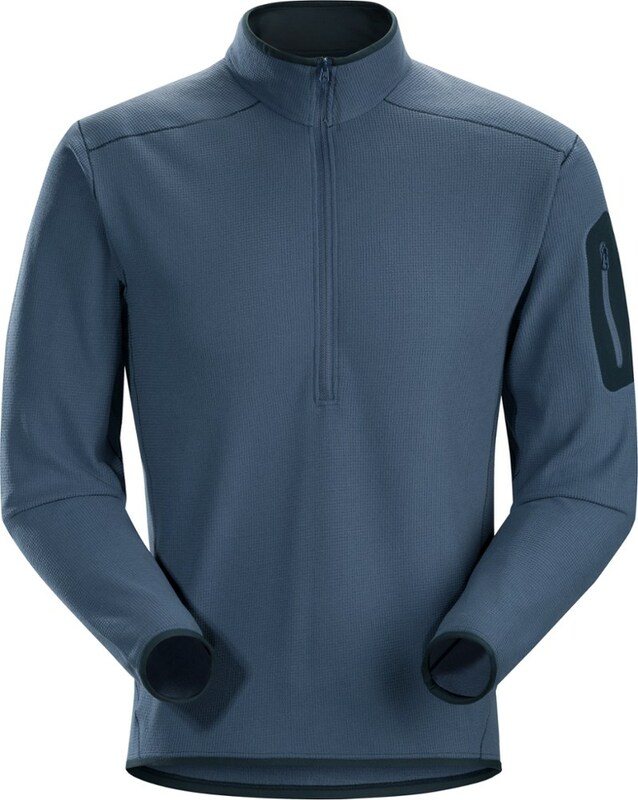 Great mid layer, I wear mine over a T-shirt while hiking. When I'm at the summit I'll zip up over the nose, put on my sunglasses and maybe a light down hoody jacket. Thanks for the review, Jafa. Out of curiosity, where is that picture taken? Kilkenny ridge trail, Jefferson, NH. This top is really warm. 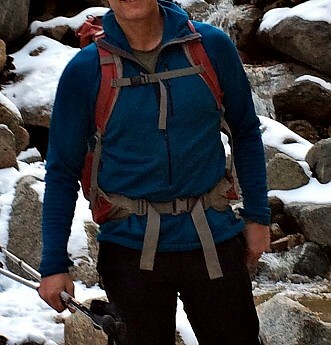 I used it with the Micro Puff Vest in Nepal under my jacket and stayed toasty! Highly recommend it. This top is a must have for anyone doing anything outside. It's warm, light weight, and while on the thinner side, don't let that fool you. It's super warm. I would have been using this for cold weather base layer for mountain biking. Nice concept, hood too big. Should fit tightly, like a balaclava, but does not. Zips up to bottom of nose for great coverage, but too loose. Zipper seems to stick on the base of the wind flap, right about chin level or lower. Can not reproduce sticking when not wearing it. Weird. 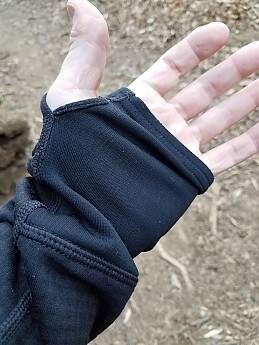 Thumb holes in sleeves great idea but sleeves not quite long enough when using them. Fabric seems very, very flimsy, and seems as if it might rip or shred with the slightest abrasion, or if pulled a bit too hard. (I did not keep it long enough to find out) With a sale price nearly one third off, it still seemed too expensive for what it was. 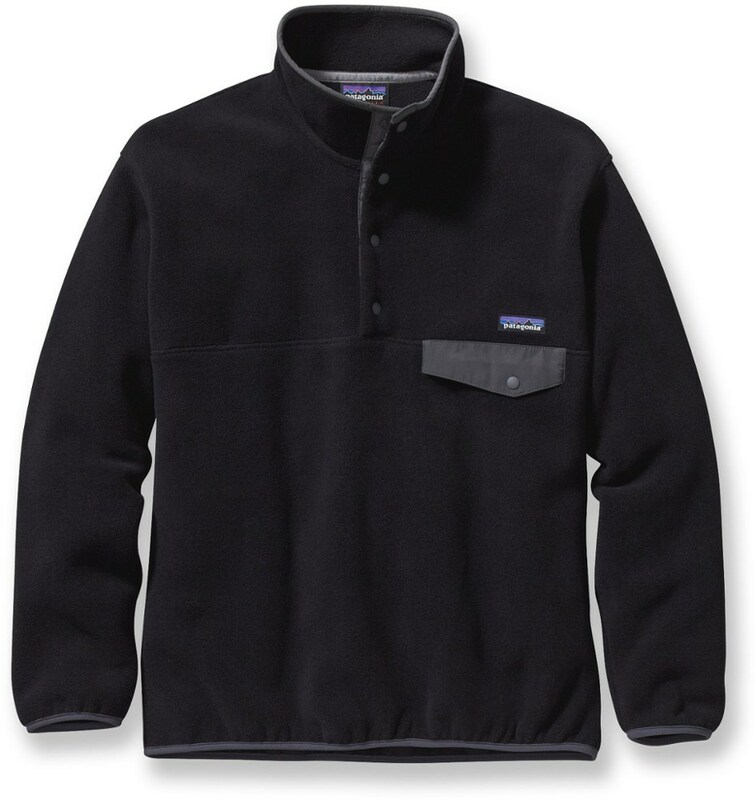 I think Patagonia should make a bit thicker outer layer and keep the hood snugger, and the sleeves longer. I'll stick to a buff and a soft shell hat, with a quarter zip poly base layer that cost a fraction of this item. Other reviewers seem delighted with it, but I do not agree. There are so many alternatives that do not leave your wallet empty, and fit better. After an uncomfortable, cold, drafty night on the trail in my 35-degree bag, I realized that sometimes my best sleeping bag will not prevent drafts in my ultralight tent from spoiling a good-night's sleep. I thought about turtle necks and warm hats, and balaclavas, and cringed at the thought of overlapping garments. That's when I realized that for sleeping, a snug hoody fleece would be the warmest and most-comfortable. When I got home and searched the web, I was lucky to find the Patagonia R1 Hoody top. My first test was a camping trip to north Florida over the new year 2010, and so thought my 35-degree bag was all I needed. Needless to say, I didn't expect it to be quite so cold, and boy, was I unpleasantly surprised! Thank goodness I had the hoody!!! With my wool socks, long-johns top & bottom and the R1 hoody, I slept well and was comfortable all night. The hoody stopped drafts from hitting my bare skin and was the margin of warmth that kept me comfortable all night long. Researching the hoody, I read that the R1 is sized snugly, so purchased my natural size--a large. The fit is perfect. The hood fits snugly around my neck and head, with a comfortable amount of elasticity. 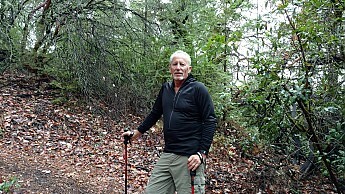 Besides sleepware, I found hoody is also extremely versatile, keeping me warm during cool days on the trail. It has replaced my Denali Jacket, relegating it to suburban duty while saving a half pound in weight. Easily worth the money, the R1 Hoody is my new most-indispensable piece of gear. While not exactly a fashion item, the R1 Hoody is very nice when it comes to lightweight hiking or climbing in cool or cold conditions. Actually, for the people who rarely bother to bring a second shirt to a trip, this is a gift from heaven. 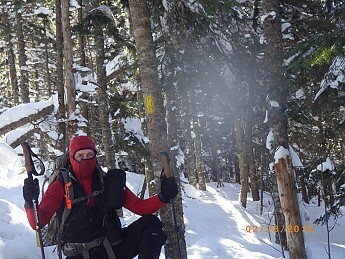 The hood replaces neck gaiter and hat or balaclava, making your kit list a little shorter, the long sleeves that end in thumb loops mean that you can survive with lighter gloves. 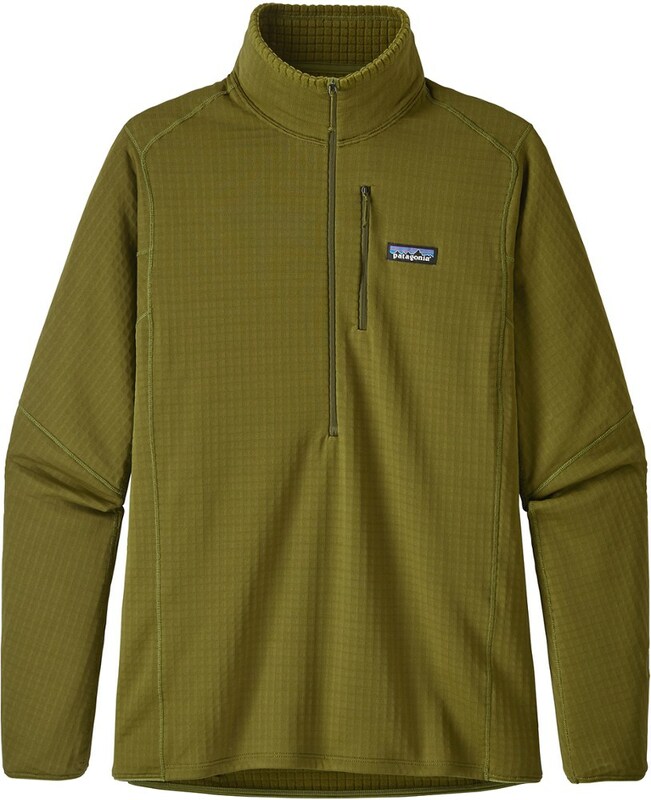 This shirt is thin compared to typical fleeces, and warm when compared to base layers. It can be worn either over a base layer or as a baselayer. If my hoody was not the last one in a sale, I might have gone for a bigger size - the fit is really snug and so my only option is to wear it as a baselayer, which I don't mind at all. Only when wet it is not as nice against skin as dedicated base layers, but once sweating stops, it dries off to a comfortable level fast enough. If it gets hot, the long zip is very effective for cooling. To say something negative, the normal price tag might scare you away. And sad news for all the ladies out there: there is no women's model. When going on a trip I bring two base layer shirts: a Hawaiian shirt for those lazy days in the sun and looking good in the pub after a day in the mountains, and R1 hoody for all other purposes.